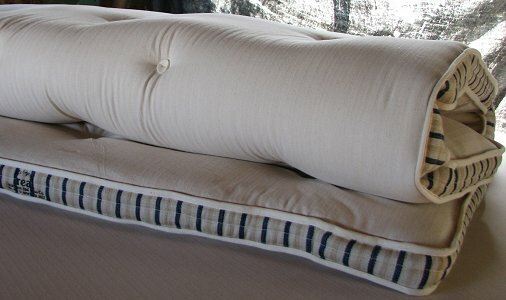 Rolled Topper Overlay in Herringbone, with Striped Border. * For photographic purposes, the soft wool tufts have been replaced with leather buttons, to illustrate the hand-buttoning. & 1''- 25 mm latex rubber sheet. 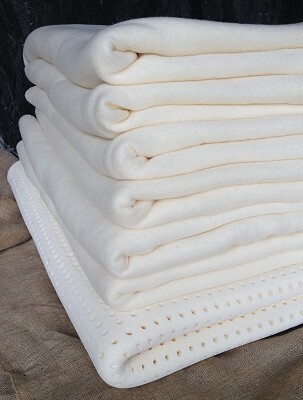 100% natural cotton herringbone twill or cotton-polyester damask. 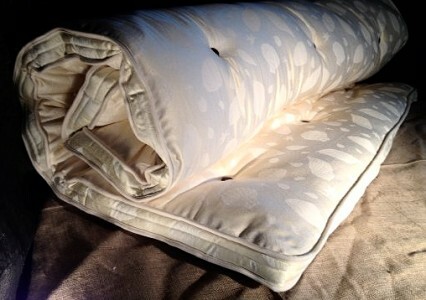 Hand-quilted foam border with embroided label. 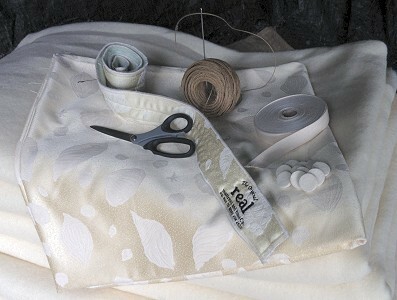 Natural cotton edge binding tape. Imported Italian jute buttoning twine. 2.5 inches - 65 mm. The items are rolled, tied, and double packed in heavy-weight plastic for freighting, suitable for despatch by courier. Double Overlay in Herringbone with Striped Border, matching White label mattress, and Low-line base. 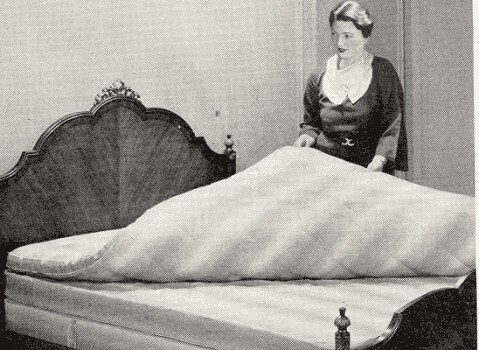 The combination of a mattress and base as an ensemble is the ideal sleeping surface, the ultimate: a triple-layered ensemble with mattress overlay. The overlay became common in France at the end of the nineteenth century, often in combination with the also-new, upholstered box-spring. 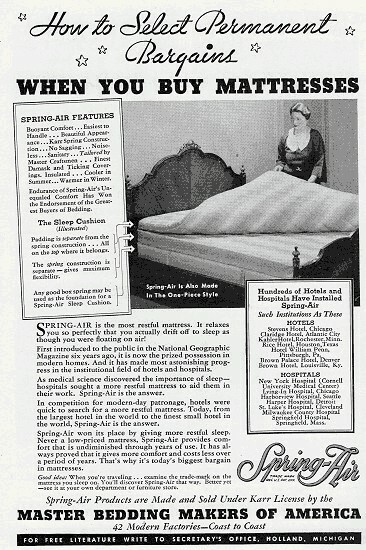 It was highly regarded for its quality as a soft mattress, when compared with the others of the period. The overlay was seen by visitors to the Great Exhibition of 1851, along with the then-new cotton fabrics including striped ticking, which was particularly produced for use in mattress and box-spring upholstery. Consisting of a core of curled hair enclosed in layers of white wool, the French overlay was hand filled in a bordered ticking case and deep buttoned. 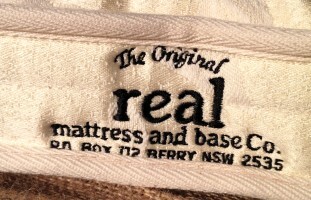 Similarly, the real beds overlay-topper has a latex rubber core enclosed in multiple layers of wool, hand filled in a bordered case and deep buttoned. 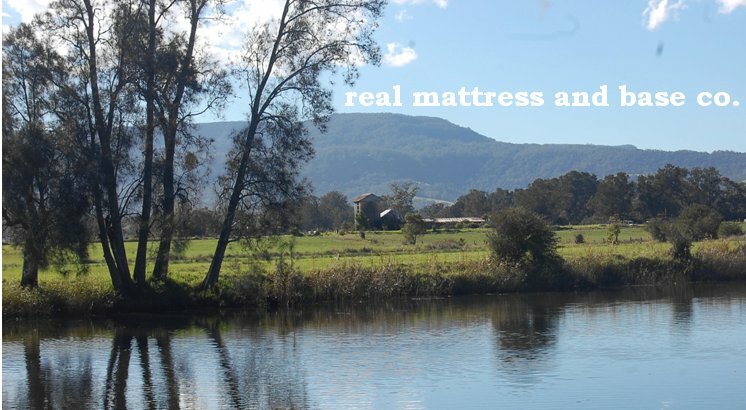 The real wool and latex overlay provides a luxuriously soft sleeping surface, and has proved an excellent addition for maturing clients who are finding their current mattress now too firm.